The main aim of this team is to develop software tools in order to meet the educational and managerial software related needs of all schools and departments in the GJU. Our team follows the best software practices and utilizes state of the art frameworks and technologies to develop efficient and user friendly tools that are customized to meet the academic regulations and business procedures of the university. All the developed tools are feature rich, easy to use, efficient, flexible, reliable, and scalable. Such tools save the GJU hundreds of thousands of Jordanian dinars on the cost of similar ERP tools. The team has already developed in-house and released several major systems such as the: MyGJU portal, student information system (MyGJU Admin), Accounting Information System (AIS), Financial Information System (FIS), E-Fawateercom service, human resources system, payroll system, online exams system, and voting system. The MyGJU portal ended the student crowding on campus during the registration period as it recently enabled about 93% of the students to independently register for courses online using either their computers, phones, or portable devices. In addition, it enabled employees to view their related information (e.g., personal data, employment information, salaries, schedule, course sections, evaluations, etc.). Whereas, the AIS and FIS eliminated the time consuming, error-prone, and cumbersome manual procedures that were adopted by the financial department staff. The E-Fawateercom service enabled students to instantly deposit money (via E-Banking) in their MyGJU accounts from the comfort of their homes. Furthermore, the human resources and payroll systems reduced the pressure on the financial and human resources departments by cutting labor hours and reducing errors, besides their benefits in tracking employee data, recruitment process, attendance information, performance evaluations, and payroll records. While, the exams system ended the time-consuming and error-prone manual grading process that usually overloads the instructors of the basic sciences and humanities departments ahead of every academic semester. Finally, the voting system allowed students to elect their representative to the university counsel online. Dr. Feras Al-Hawari, the current director of the Information Systems and Technology Center and who has 17 years of experience in the USA software industry was entrusted by the President Prof. Natheer Abu Obeid and the Deans Council of the GJU to establish, lead and train the software development team as well as participate in the design and implementation of the applications. 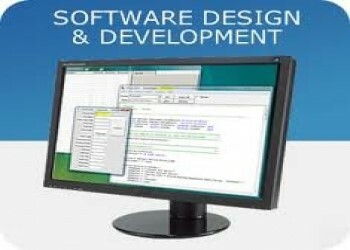 In addition to Dr. Al-Hawari, the software development team includes the following programmers: Eng. Mai Alshawabkeh, Eng. Anoud Alufeishat, Eng. Hala Barham, and Mr. Mohammad Habahbeh.